Chicago police have issued an alert to warn merchants about a series of armed robberies at convenience stores in Lakeview, Lincoln Park, Avondale, and Wicker Park. 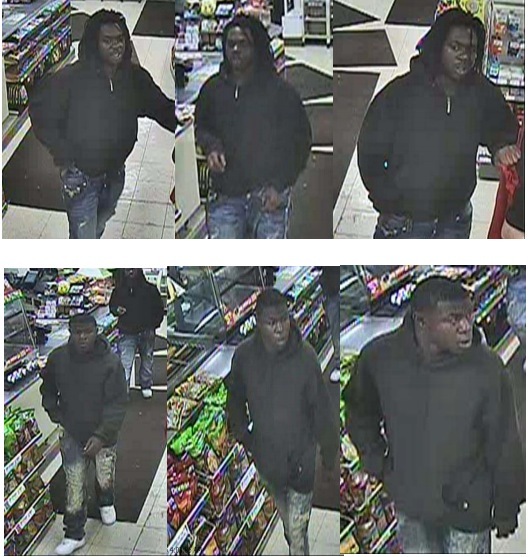 Police have connected the spree to a group of two or three men, two of whom are seen in surveillance photos issued along with the alert. Among the stores targeted have been the 7-Eleven near Ashland and Diversey in Lakeview and another 7-Eleven near the Armitage Brown Line station. A copy of the police alert is available in PDF form here. ￼This alert gives notice to businesses operating in the above districts, of Armed Robberies of a small retail stores in those districts. Anywhere from one to three offenders enter the small retail stores and announce a robbery while armed with handguns. The offenders have been described as one to three, male blacks between the ages of 17- 25. They are between 5'7" – 5'11" tall and weighing approximately 150 -175 lbs. They are wearing black hooded sweatshirts and white gloves while armed with handguns. • 1500 block of N. Damen on June 17, 2015 at 4:40am. • 1400 block of N. Milwaukee on June 28, 2015 at 11:30pm. • 2800 block of N. Ashland on July 3, 2015 at 12:30am. • 3500 lock of N. Pulaski on July 19, 2015 at 12:30am. • Be aware of this crime and alert other businesses in the area. • Employees should call 911 to report any suspicious person(s) that may be lingering around their business. • Business owners should ensure that their business is equipped with a working video surveillance system and hold up alarm. • Call 911 immediately and provide a detailed description of the offender(s) including any vehicle description and license plate information.